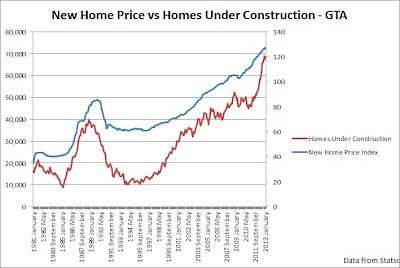 Will New Home Prices Decline? 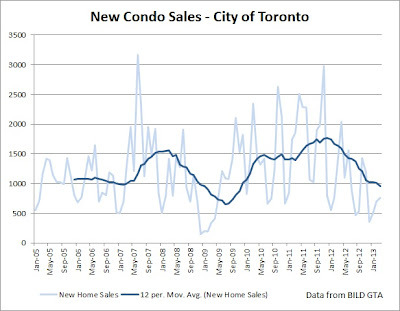 Since the mid 90's new home prices have been steadily increasing. One of the reasons for the massive increase in new home prices is restrictive land use policies such as the green belt. 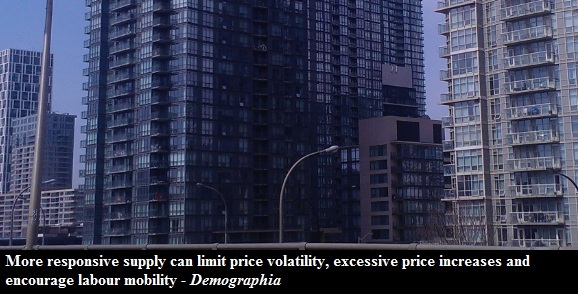 Demographia noted that places with restrictive land policies often experience more volatility in price movements. 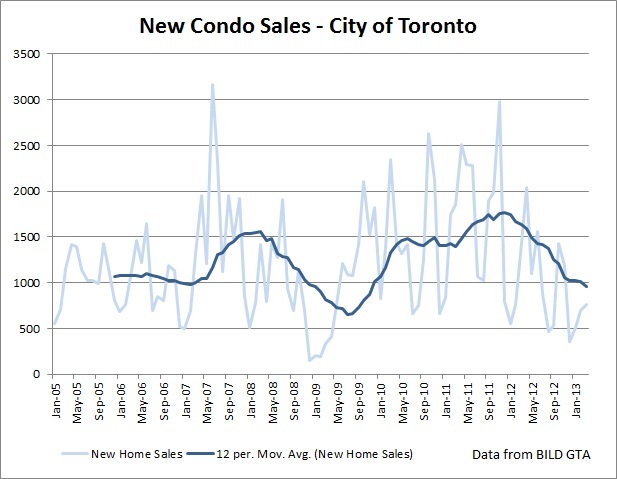 In 2012 alone, new home prices increased by 16% in the GTA. 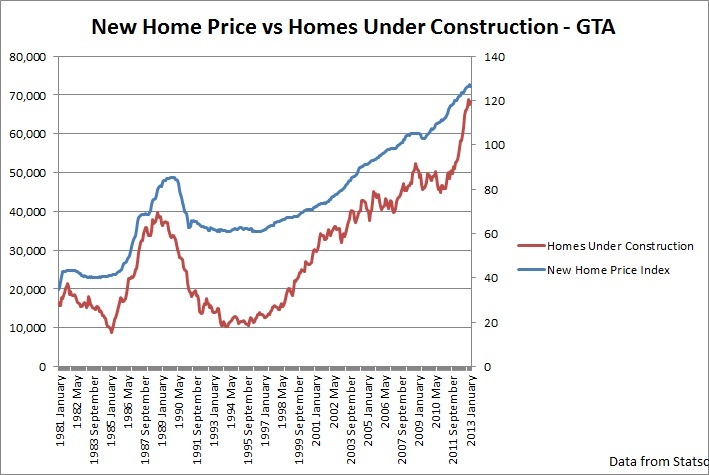 That makes me wonder what does the future hold for new home prices?